The first step may be auditing data center operations to identify where their current level of energy efficiency is at. Through this test, center management officials will be able to better understand how their power is currently being used and determine any problem areas, according to BizTech Magazine. The audit will significantly help drive cost-effective procedures by providing accurate results detailing what devices are not being used to their full capacity. Utilizing the audit data, center operators can look for ghost servers to ensure that they are using the latest technologies and observing best practices for better power conservation. Ghost servers and other underutilized machines take up a significant amount of energy, and having the audit to back up their findings will help drive better control efforts. "These energy hogs double down on inefficiency; they not only no longer provide a useful service, their outdated engineering consumes excessive amounts of electricity compared to the latest server designs," according to the source. Another tactic is to limit overall power consumption to ensure that the data center is reaching energy conservation numbers as defined by management. By killing ghost servers and powering down some units when not in use, organizations can see significant savings simply through better utilizing their current hardware, according to Daily Journal of Commerce contributor and data center expert John Kovach. Many servers have ample space that isn't being used, instead racking up higher expenditures for misused equipment. By virtualizing some of the servers, data centers will be able to limit their power consumption and drive more cost-effective practices. "Limiting power consumption by idling resources is another option, as not all servers need to be operational 24 hours a day," Kovach wrote. 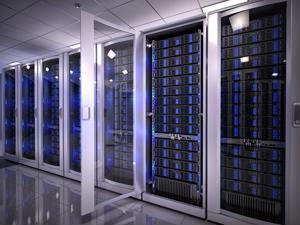 "Servers used for backing up or testing software can easily be powered down when not in use. About a quarter of companies we spoke with said they plan to buy hardware that dynamically adjusts power usage to the level of performance required by a given workload." As a direct result of the rising computing demands, the cooling industry has recently seen a spike in sales as more organizations invest in the solution to benefit the data center. Using environmental control systems, users will be able to better track power usage on a real-time basis and help improve the Power Usage Effectiveness score, according to GCN contributor Carolyn Marsan. Investing in air conditioners and temperature monitoring will also help keep servers in optimal conditions. Most centers keep their environment around 75 degrees Fahrenheit, however, the new standard for maximum temperature has been pushed to 80 degrees. The temperature could affect the power bill due to the need for cooling systems to supply the servers with enough air while also keeping in some humidity in order to function properly. Many organizations have designed their server rooms to reflect a division between cool and hot aisles in order to drive proper air circulation while also keeping the majority of power on the servers. Data centers are under considerable pressure to meet consumer demands as well as drive down their overall energy costs. Through observing best practices, data centers will be able to provide solutions that will accomplish both goals without sacrificing performance.